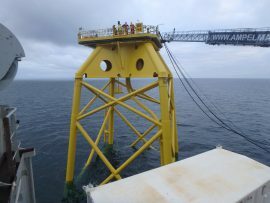 At the beginning of April, Seaway Heavy Lifting’s vessel Oleg Strashnov will install the 4,000-tonne Arkona topside onto its jacket foundation. 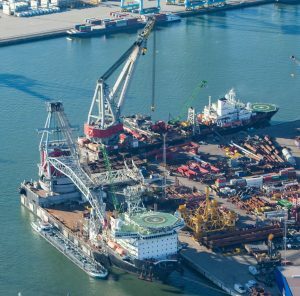 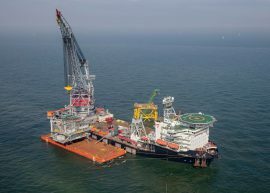 Seaway Heavy Lifting’s (SHL) vessel Oleg Strashnov has returned to the Beatrice project after having installed the substation topside at the Merkur offshore wind farm site in German part of the North Sea. 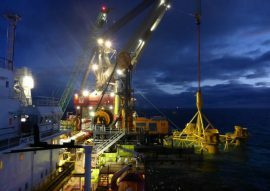 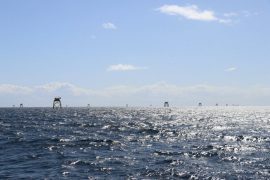 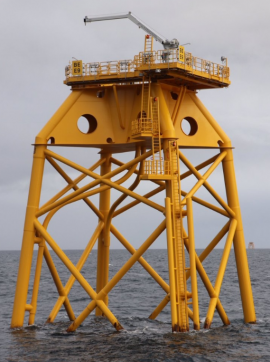 Seaway Heavy Lifting’s (SHL) vessel Oleg Strashnov has installed one third of the jacket foundations at the 588MW Beatrice offshore wind farm located in the Outer Moray Firth off Scotland. 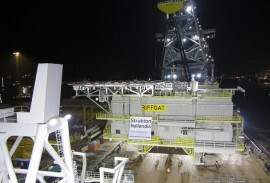 Seaway Heavy Lifting’s (SHL) vessel Oleg Strashnov – which left the Beatrice site after installing the 24th jacket foundation in late September and returned to the job in November – has put the 25th jacket in place and thus officially resumed the works after more than two months of suspension. 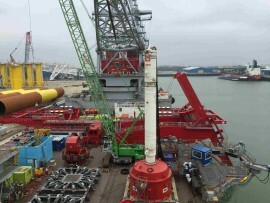 Seaway Heavy Lifting’s vessel Oleg Strashnov is currently at the Merkur offshore wind farm site as the vessel is deployed on installing the jacket foundation for the Merkur offshore substation. 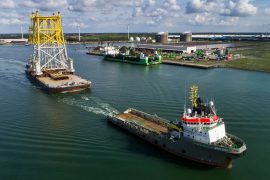 According to vessel’s AIS data, Oleg Strahnov has arrived at the site on 8 October. 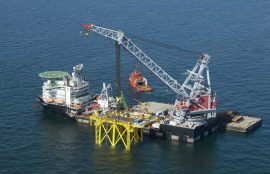 The installation of jacket foundations at the Beatrice offshore wind farm is now suspended as Seaway Heavy Lifting’s vessel Oleg Strashnov left the site on 2 October and Stanislav Yudin’s re-mobilisation for the work is awaited. 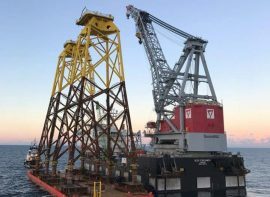 Seaway Heavy Lifting’s vessel Oleg Strashnow has installed the first of 86 jacket foundations on the 588MW Beatrice offshore wind farm in the Outer Moray Firth, Scotland. 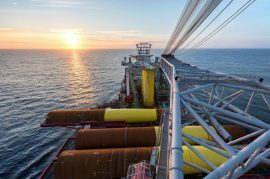 Seaway Heavy Lifting’s crane vessel Oleg Strashnov has installed the offshore substation on the 336MW Galloper wind farm situated in the outer Thames Estuary, some 27 kilometres off the Suffolk coast. 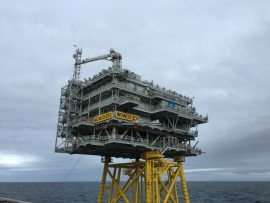 Seaway Heavy Lifting’s vessel Oleg Strashnov has installed two offshore substations on DONG Energy’s 660MW Walney Extension wind farm in the Irish Sea. 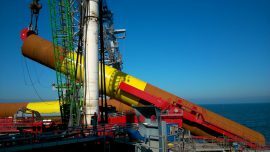 Seaway Heavy Lifting’s Oleg Strashnov has started installing the jacket foundation for Elia’s Offshore Switchyard Platform (OSY) in the Belgian North Sea.